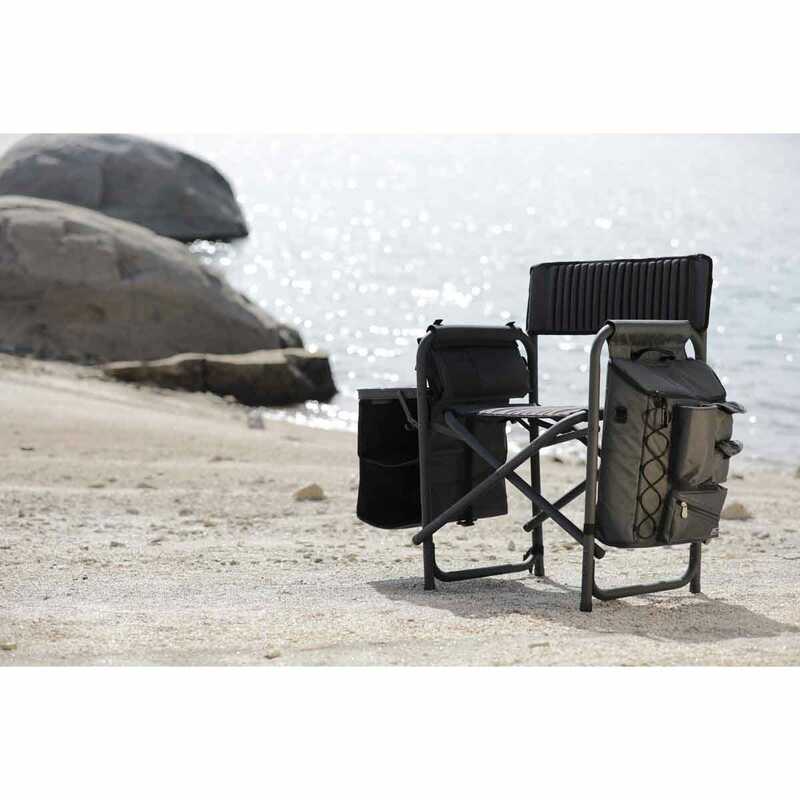 One-of-a-kind, Fusion Backpack Chair with Cooler is so functional and comfortable, you won’t want to use a regular chair. 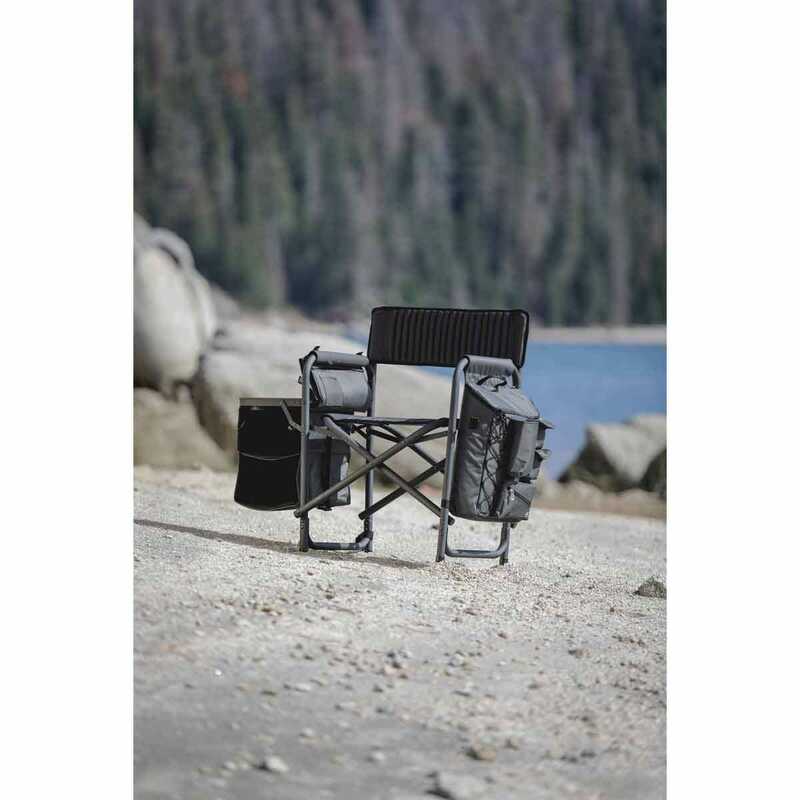 This outdoor chair features a durably constructed aluminum frame with powder-coated finish and low side bars which holds up to 350 lbs. 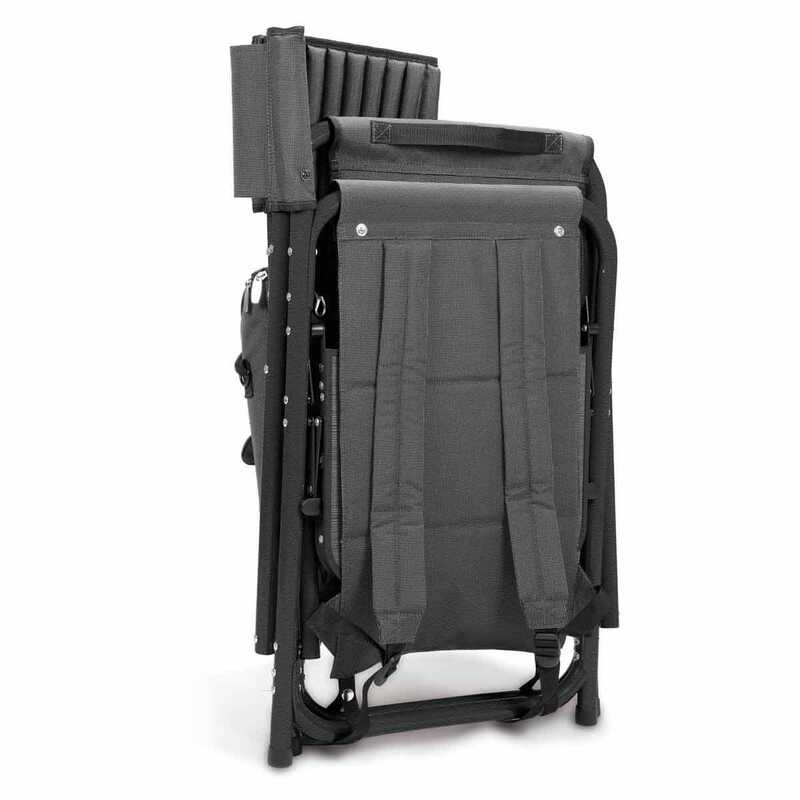 The ribbed padding in the seat and back rest add to the comfort, while the padded backpack strap system enables secure and easy hands-free carrying. 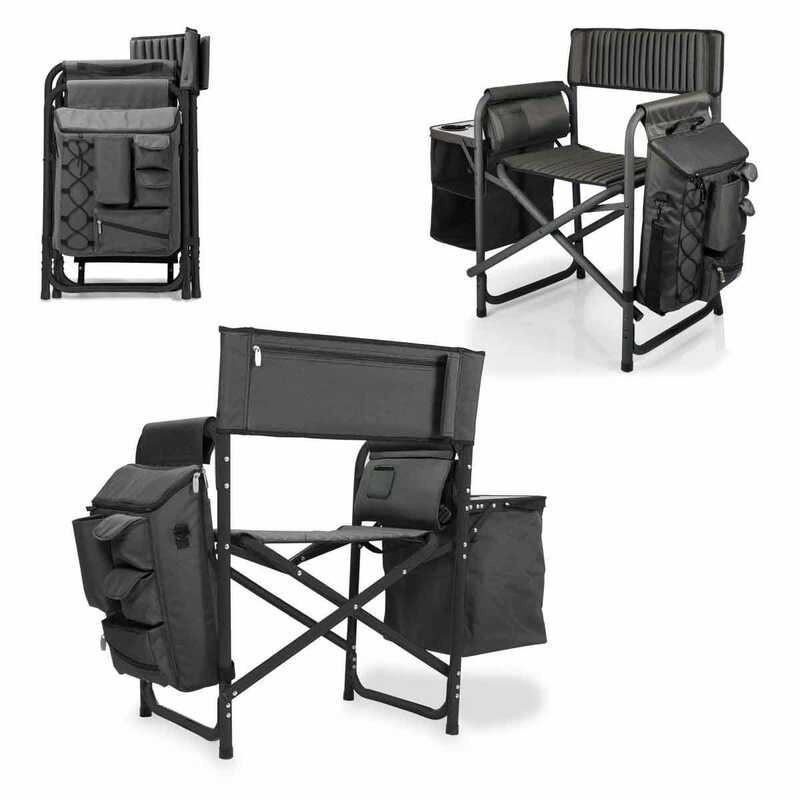 This Chair also has a pocket, which is specially designed and located to hold a cell phone or portable music device. 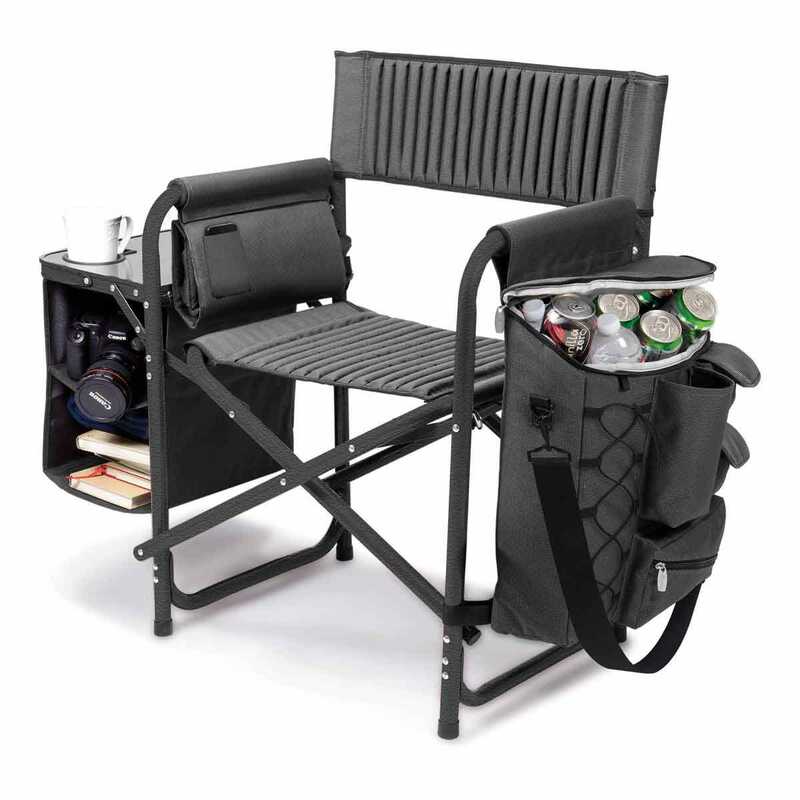 Once you have taken a seat, pop open the side table tray with a molded cup holder to hold your chilled beverage. 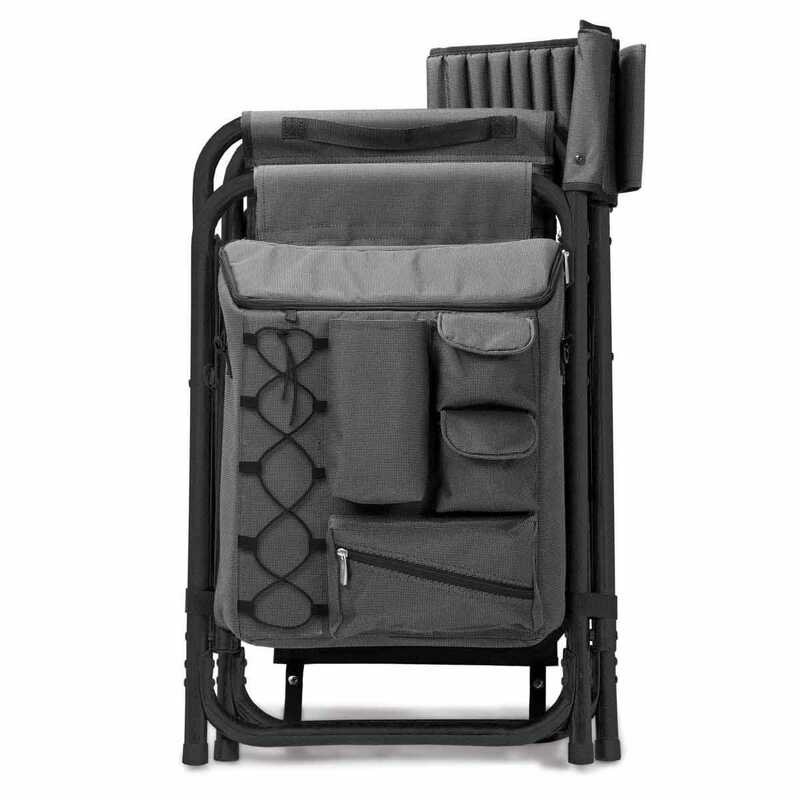 The detachable 24-can insulated cooler comes with a multitude of storage pockets and adjustable shoulder straps. 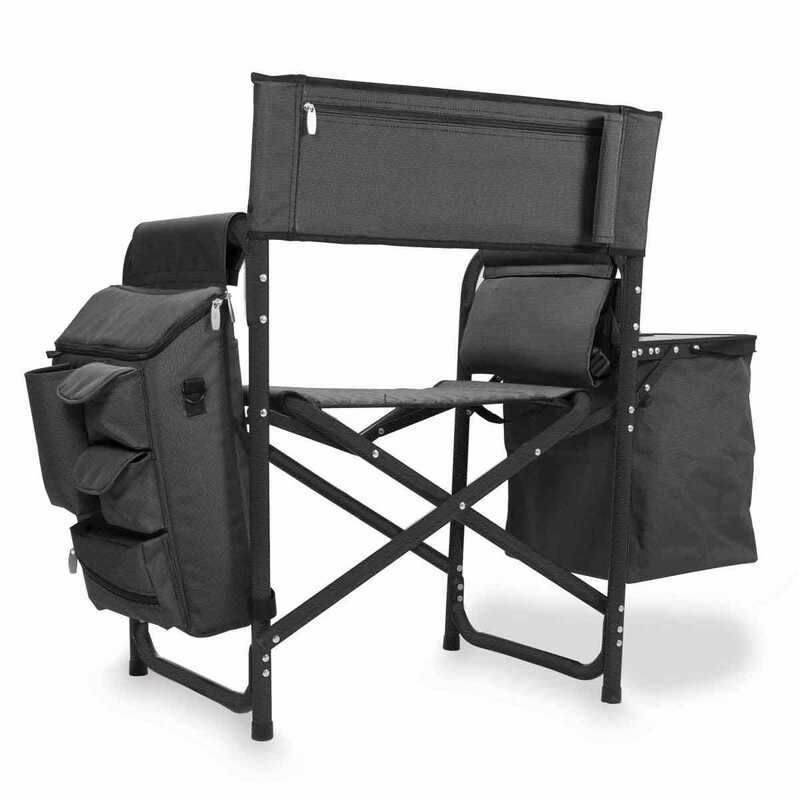 Seat measures 19 1/2”w and sits 16 1/2” above the ground. Expanded measurements 19”l x 24”w x 33”h, folded measurements 18 1/2”l x 19 1/2”w x 33”h. Weighs 14 lbs.